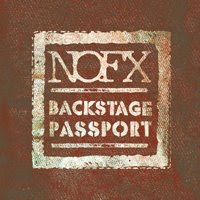 As I gear up for this year’s Warped Tour, I watched the DVDs from the Fuse hit series, NOFX Backstage Passport. I watched almost every episode of the series when it aired last year. In fact, that is most television I watched all year in one sitting. I thought the concept was brilliant. I couldn’t wait to see the train wreck and debauchery set to the music of NOFX. The guys played shows South America, Asia, Israel, Russia and South Africa with nothing but hope and their instruments. After watching this series, I am even more bummed I don't get to see them live again in San Antonio this Thursday. Oh well, I have five NOFX shows under my belt to go off of for now. The Riverboat Gamblers "Victory Lap" (Altpress.com exclusive) from Alternative Press on Vimeo. 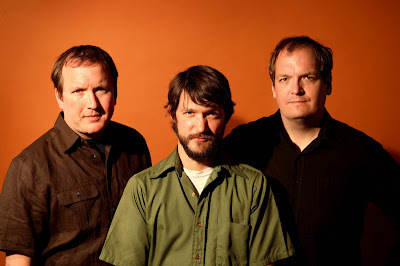 So as I was surfing around online this morning, I came across the new video from Austin phenom, The Riverboat Gamblers. The video is for their song "Victory Lap" off their latest album Underneath The Owl. Apparently, and I didn't know this until seeing it, Alternative Press has the exclusive. Good for AP. They are hit or miss, but they got this one right. It is cool to watch the video and see clips of them playing The Mohawk, one of my favorite venues in Austin. I can't wait to catch them again at Antone's on July 15th. Shortly there after, they head to Europe. I have another installment of my Warped Tour series leading up to our Double Stereo coverage for you. I sat down with a great featured band on this year’s Warped Tour, Dear and the Headlights. An energetic young indie band from Arizona, they came through Austin recently to talk about everything from performing at music festivals to winning over Paramore fans. When you need a break from all the awesome pop punk and screamo, check out Dear and the Headlights. 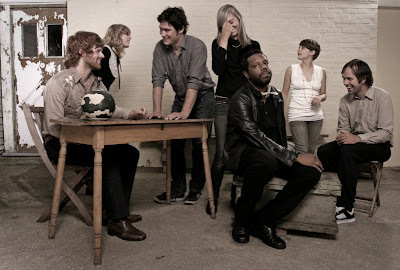 I recently saw Montreal indie rockers, The Dears, live in concert for the first time. Their live show is as polished and musically precise as their albums. The Dears were on tour supporting their latest album, Missiles. Lead singer, guitarist and keyboard player Murray Lightburn answers a few questions I had for him after seeing their show. I was surprised by some of his answers. He's a witty one that Murray. Like everyone else out there, I was sad to hear the news that Michael Jackson had passed. I was always a fan and have yet to see anyone in the pop world come close to his level of stardom or talent. I first saw him during the early days of MTV. I even broke out the VHS tape I had when I recorded the Motown 25th Anniversary special from the 80s. That was when he made the moonwalk famous world wide and sported the glove. I think it was his best performance. I practiced my moonwalk forever after that. In elementary school I too had a red leather jacket. 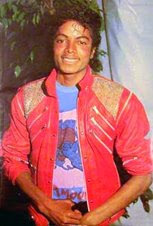 It was a cheaper version of the one he wore in the "Beat It" video. We all had one or wanted one. What I notice when I watch that video now is that one of my favorite actors, Michael DeLorenzo, was a dancer in the video. Dude from New York Undercover really gets down. He's Boriqua, so it is to be expected. Still, as classic as Thriller was, it is not my favorite Michael Jackson album. 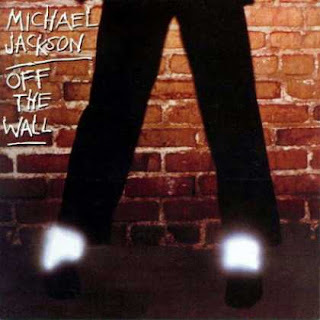 I much prefer Off The Wall. I never s aw any videos for it or anything because the Thriller album's singles were always on MTV. My mother was the one who played the Off The Wall at home. She eventually ended up giving me the record when I left home and it has been in my collection ever since. "Don't Stop 'Til You Get Enough" and "Rock With You" are the albums best tracks, and have always got my college parties started. No girls, nor guys actually, sat still when those songs came on. In fact, ask anyone of my friends who were at one of my parties I threw back then and they will tell you there was always Michael Jackson songs spinning. They were always songs from Off The Wall. That's how I roll. I also loved Bad, especially for inspiring Weird Alto creat "Fat". Moonwalker blew me away at that time, when he made that move during "Smooth Criminal" video where the camera leaned back as Michael leaned forward. Don't tell that didn't trip you out! I still have that movie recorded on an old VHS come to think of it. MTV used to play the hell out of it. There is so much I could say about Michael, but I just thought I'd share my Michael memories and what I loved. He broke down racial color lines and inspired a new generation of young dancers. Often imitated, never duplicated...he will always be the standard in pop music. He will always be "The King of Pop". I share with you, the video for my favorite Michael Jackson song, "Don't Stop 'Til You Get Enough". RIP Michael. Austin native, Carrie Rodriguez is one of my favorite new discoveries. She is a blue grass or Americana ar tist with a beautiful voice that plays the fiddle and the guitar. On the week of July 11, you will get to see her Austin City Limits taping re-air on PBS affiliates everywhere. Her performance is paired with one from Jacob Dylan of The Wallflowers and son of legendary Bob Dylan. She performs songs from her latest solo album, She Ain’t Me, as well as songs from her solo debut album, Seven Angels On A Bicycle. She is backed up by her touring band – Hans Holzen (guitars), Kyle Kegerreis (bass), and Eric Platz (drums) with very special guests Gary Louris (The Jayhawks), and instrumentaists Greg Leisz (pedal steel, slide guitar),and Michael Ramos (keyboards). Rodriguez has also recently made Live in Louisville, a recording she made in 2007 while opening for Lucinda Williams available via her website and shows. It’s available exclusively at Waterloo Records in Austin, TX and at Ear X-tacy in Louisville, KY. It will be released worldwide digitally (only) on November 24th. In the meantime, I invite you to enjoy Rodriguez performing "Abscence" from her Austin City Limits taping. Listen and discover why she is winning over new listeners everywhere she goes. 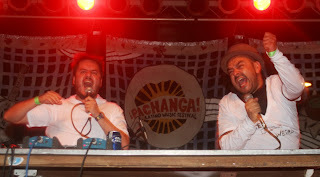 Our last and final Pachanga Fest installment is now live and online at Austin Vida. We teamed up with Blastro Networks to bring you the best Mexican Institute of Sound interview ever seen. The video is a little long for a web video, and longer than anthing I have ever seen on the Blastro. After days of discussing edits and different versions, I am happy to say we (Austin Vida and Blastro) collectively agreed that the video was so entertaining that it needed to be seen in its entirety. The concept for the video was to get an interview with intelligent questions, inform new audiences about Camilo Lara, and get an exlcusive look at his live set up. For all you DJ enthusiasts and gear heads out there, you'll really dig what you see. Check out what he does with his Iphone. We also input live footage from MIS's Pachanga performance and clips from some of their previous music videos. Many thanks to Blastro and Nacional Records for teaming up with us. I couldn't be more proud of how it turned out. I came across this cool video online today. Pop singer Jason Mraz seems to love duets with hot female singer songwriter types, but then again who doesn't? Remember Mraz's last duo was with Colbie Caillat on the song "Lucky". I wasn't feeling that version too much, it was just another run of the mill top 40 pop song to me. However, I am feeling his new version with Mexican actress and singer, Ximena Sarinana. An MTV Blog, MTV Buzzworthy, actually got something right when it allowed for people to share this video for "La Suerte". A Spanish rendition of Mraz's song with Caillat, Mraz turned a song I wasn't feeling into a song I actually like. Ximena's voice makes the song. According to the MTV Blog, Mraz will be looking to put out a Spanish language version of his album We Sing, We Dance, We Steal Things. When? I am not sure of the date and didn't care enough to surf around looking for it. I have my apprehensions about how it will sound, but I applaud him for at least trying. If only more mainstream artists were bold enough and opened minded to try. Still, I have never been one for doing a cross over album in another language, even from Latino artists trying to sing a Spanish song in English without mastering the language. Yes,that was sort of a stab at my beloved Shakira. It was also a stab at Paulina Rubio and other Latin pop stars who have done the same. Love the Spanish stuff, wish you would have kept it that way. 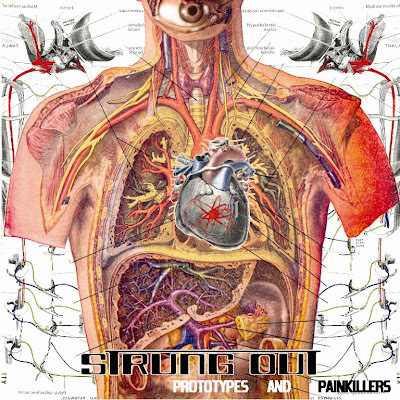 Prototypes and Painkillers is the latest release from Strung Out, one of my favorite punk rock bands and Warped Tour memories. An unconventional release of sort, Prototypes and Painkillers is a twenty five track album. Seven of which are previously unreleased while eleven, according to the info I received from Fat Wreck Chords, were out of print. It took me a bit to really listen to it all and absorb it all. Having all of Strung Out’s previous seven albums in my personal collection, I went back and listened to them all before reviewing Prototypes and Painkillers. It wasn't that doing so would make any difference for the review, I just felt like listening to them. I'm Going To Warped Tour!! Yup, I'm living out one of my childhood dreams this year. As usual I am heading down to San Antonio for Warped Tour, only this year as official Wapred Tour approved press. I have been going to Warped Tour since I was in high school only a few moons ago, but never as press. Now although I don't enjoy this new era of Warped Tour as much as I did in the late 90s, there is always some great new younger acts to be discovered. This year, I'm stoked that I will get to see bad Religion live again. I think it was the 90s when I last saw them live. I am also looking forward to hip hop act Shad and reconnecting with Fueled By Ramen artist, Versaemerge. In the meantime, I will be posting Warped Tour themed reviews and interviews on Double Stereo in anticipation of the San Antonio tour stop. After my day in the hot sun at Warped, I will keep you all posted as to what to expect from my day at Warped Tour. For now, I share with you a video for my favorite Bad Religion song of all time, "Sorrow". 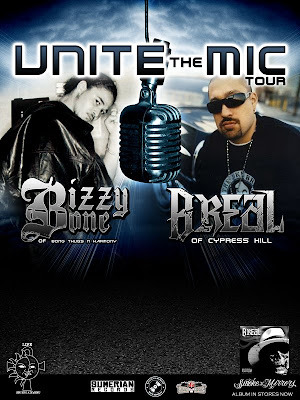 Grammy award winner Chris Perez and Austin singer-songwriter Angel Ferrer have come together recently to form a new band. 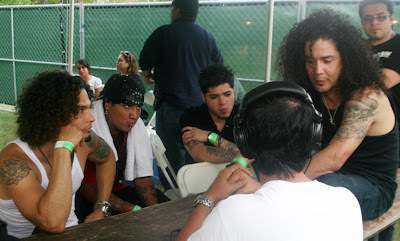 Tentatively titled “The Chris Perez Band”, they are already conjuring up serious interest on Austin Vida. The band made their world debut at this year’s Pachanga Fest at Fiesta gardens in East Austin. We at Austin Vida were able to not only capture clips of the performance on film, but also get an exclusive interview backstage with Perez and his new band while Mariachis played background music to set the stage for us. Ok not really, but it was a great audio background none the less. During SXSW this past March, the one show I wanted to go check out but could not manage to was Cursive’s show at La Zona Rosa. It was a great opportunity to hear music from their then soon to be released album, Mama, I’m Swollen. Having been a fan of Cursive since the late 90s, I was disappointed I wasn’t able to get in. I have yet to see them live to this day. After listening to Mama, I’m Swollen, I am even more eager to make that dream a reality. Cursive just put out a new video for "I Couldn't Love You" off of Mama, I'm Swollen. Check it out here for yourself. I Couldn't Love You from Cursive on Vimeo. 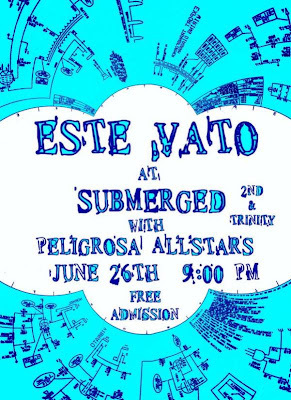 Go Check out Este Vato at Submerged For Free!!! On June 26th, you all need to go check out Austin based Latin Fusion band, Este Vato. This is your chance to see them for FREE with the Peligrosa All Stars DJs. I personally love these guys and will recommend them to anyone. Here's a quick video from the first time I saw them back at Trophy's on South Congress. Vinyl Entertainment is both proud and sad to announce the farewell show for mash-up DJ Car Stereo (Wars) as he ventures to dominate New York City’s music scene. 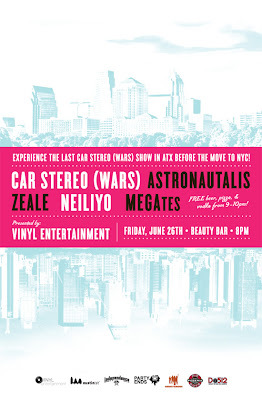 Opening up for Car Stereo (Wars) will be Seattle-based Astronautalis, Austin’s own Zeale, Neiliyo, and MEGAGates. 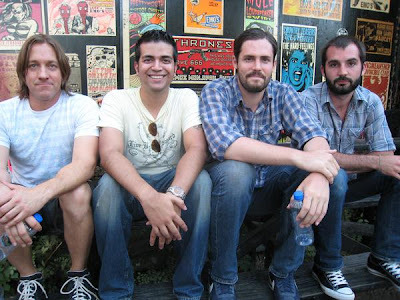 Scheduled to perform at the 2009 Lollapalooza Festival, Car Stereo (Wars) is known for delivering a pop culture buffet by pulling together interesting, high-energy song combinations that keep the hipsters on their feet throughout Austin’s trendiest dance spots. Drawing inspiration from mash-up maestros like Girl Talk, his full-length album, The Bandit, has become the perfect party music for anyone with discerning tastes. Joining Car Stereo (Wars) is Seattle-based Astronautalis. Formerly known as one of the most talented freestyle emcees in the country, Astronautalis now produces albums that fuse hip hop, folk and indie rock to deliver a highly refined album that’s been supported by artists such as The Polyphonic Spree, Midlake and The Paper Chase. Supporting them will be one of Austin’s most skilled rapper and emcee, Zeale, who, with his expert wordplay, emulates hip hop artists such as The Cool Kids and Lupe Fiasco. Rounding out the lineup is solo electro-funktionaire, Neiliyo, and DJing early in the night will be MEGAGates. 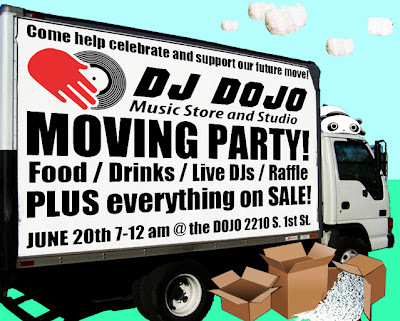 The farewell party is scheduled for Friday, June 26th at 8 PM at Beauty Bar, located at 617 E. 7th Street. With the generous support of 3 Olives Vodka, Independence Brewing Company and Pie Guys Pizza, attendees will have plenty of complimentary beverages and food from 9 PM to 10 PM during Beauty Bar’s Power Hour. Thanks to our media sponsors - PartyEnds.com, Austinist.com, and The Austin Chronicle’s Chrontourage – attendees will have an opportunity to win two tickets on each of these websites. 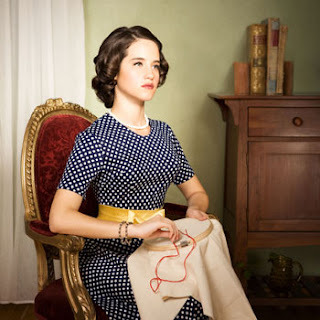 Deanna's Debaucherous Disaster this Saturday! One of my favorite local rock groups, Velvet Brick, will be playing a show this Saturday at Room 710 on Red River. From the looks of the flyer above, it should be a great show. 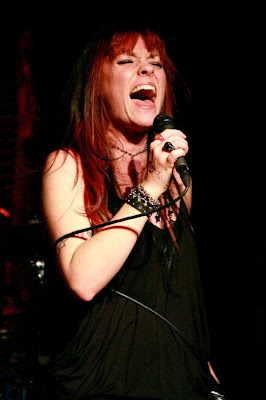 Velvet Brick front woman, the lovely Deanna Marie, is always a joy to watch. 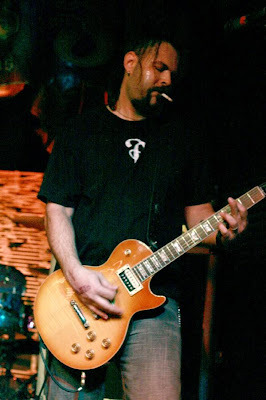 Velvet Brick also has arguable the best guitar player in town, Jason the Warlock Guitar God, shredding for your listening pleasure. Thanks also to photographer Laurie G. for taking some great live shots below. Guatemalan Born Gaby Moreno marches to the beat of her drum. While she is one hundred percent Latina and bilingual, she is not the Latin pop princess she may appear to be. She is approachable, humble and bit shy. However, when she takes the stage and gets behind the microphone, you would swear her voice was coming form someone else’s body. Moreno sounds like she is from another era, born sixty years too late (which she will tell you herself). Old jazz and blues records are what make Moreno tick, not the Latin pop some may expect her to play. 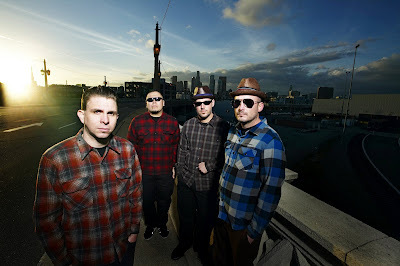 The Aggrolites are an awesome Reggae fusion band from Los Angles whom I have been a fan of for a few years now. They have come around to Austin to play The Flamingo Cantina on multiple occasions and also to play South By Southwest. They are always a great live band and their albums are good enough to listen to all the way through. Their new release, IV, is even more of the high quality I expect from them but with more songs. The Morakestra is El Paso natives and twin Brothers, Will and Dave Mora. The brothers Mora, who now reside in Austin, are joined by Memo Gomez and Daniel Vargas. 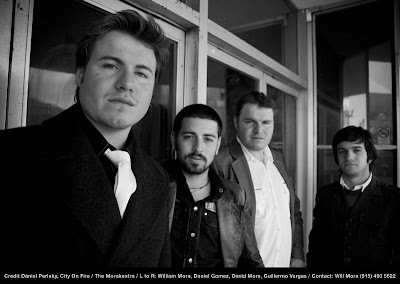 Unlike most all Latino bands in Austin, they perform indie rock and in English. That is what I love about them so much. They aren’t afraid to be themselves and play the music they want to play without fear of being pigeon held by any ethnic stereotypes.